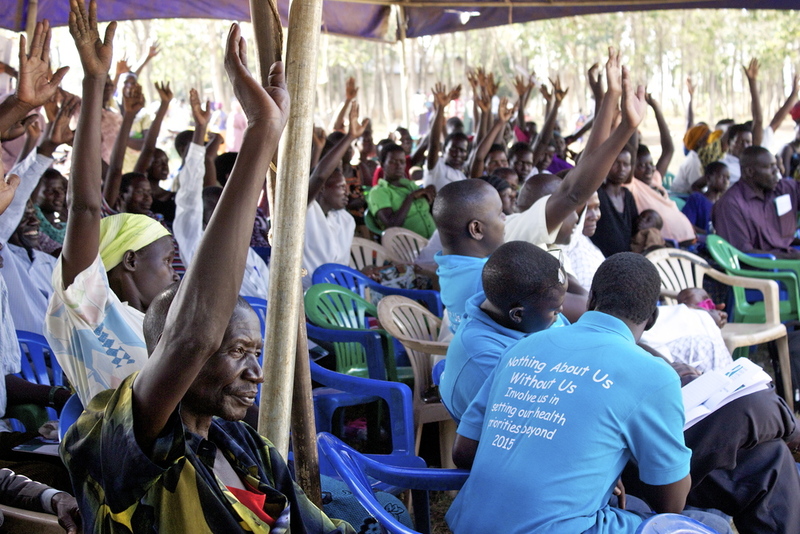 The Uganda Citizens' Hearings were held in 11 Districts bringing together over 4,000 citizens, Members of Parliament and District and National Leaders to share views on accountability for women’s, children’s and adolescent’s health and develop citizen led recommendations. Hearings took place in Lira, Kabale, Busia, Oyam, Kole, Amuru, Kampala, Butaleja, Kiboga, Kitgum and Padar. The Minister of Health and the Prime Minister welcomed the recommendations and both made commitments supporting citizen participation. A National Television debate took place on NTV's 'The People's Parliament' as well as a Citizen Recommendation Handover to Government. 1. Integrate social accountability in the new health goal framework so that citizens are empowered to monitor implementation and progress on health service delivery. 2. Improve and increase availability of Emergency Obstetric and Newborn Care Services, especially at health center IIIs and IVs. 3. Prioritize training, recruitment, equitable deployment, motivation and retention of health workers to enable provision of quality health care. 4. Integrate a rights-centered approach to health service delivery. Rights of both clients and health care providers should be upheld and Respectful Maternity Care should also be upheld. 5. Strengthen information sharing and a feedback mechanism for citizens to know what is available at the health facilities and what their entitlements are. 6. Improve access to health services for adolescents with a specific focus on youth-friendly services at all health facilities. 7. Ensure universal access to family planning. 8. Review the procurement system of goods and services for health infrastructure development to facilitate faster procurement and delivery of services. Read the full Uganda Country Report from the Global Citizens' Hearing Report now.